Did you know that health screening can uncover hidden health conditions which you didn’t even know you have? Do you suffer from particular symptoms and your doctor doesn’t seem to be very helpful? A private health screening could be helpful at determining the cause of your health issues. Also if you don’t have any health problems, a ‘health MOT’ is not a bad idea. 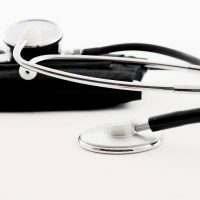 I previously wrote about private health checks and why you should have one here. 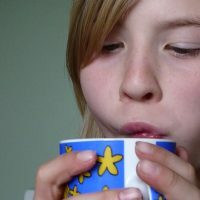 I’ve seen my doctor several times about my stomach issues and about my chronic post-nasal drip. Unfortunately, doctors just give you some tablets or drops, hoping that this will resolve the issue. Try this, try that; if it doesn’t work come back and we will try something else… We are like bloody guinea pigs. Why can’t they send us for all the necessary tests first and based on that give us suitable recommendations? Sometimes it’s really frustrating when you feel you are not getting the healthcare you need. But I shouldn’t complain really, it’s free at the end of the day. A while back I was contacted by Bluecrest who have invited me for one of their health screenings and I couldn’t be happier. I just wanted to see whether the screening will show something which my doctor is missing. Bluecrest is a privately run health screening company which offers convenient and affordable health checks nationwide. They aim to inspire and motivate people to live healthier, happier, longer lives by providing them with a clear knowledge of their current health status. 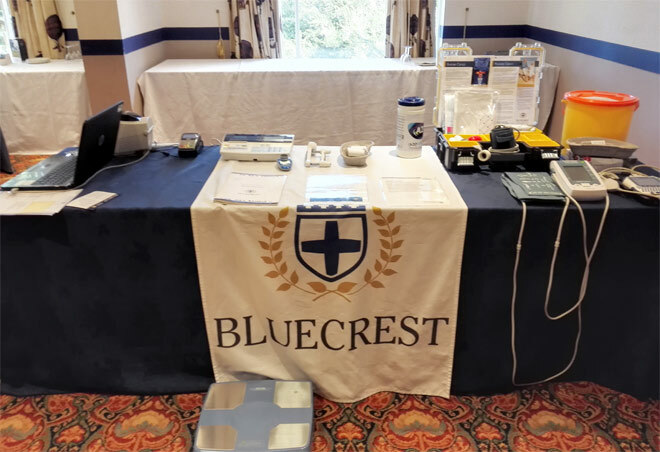 Bluecrest work together with a network of preferred venue partners which means that you won’t have to travel extensively to find a Bluecrest Health Screening clinic. To find your nearest one go to this page. I had a really good experience with Bluecrest, from appointment booking to health assessment, their customer service is top notch. I managed to get an appointment on the most convenient day and time – on Saturday at 10 am. Friendly customer service advisor gave me several different options and he mentioned to me that I shouldn’t eat beforehand as this could affect my test results. So I then decided to go for an appointment at 10 am and not at 11 am as I didn’t want to stay hungry that long! I received my appointment confirmation by email and via letter. In the letter, I received all the details about the location and what to expect at the appointment. Everything was clearly explained to me so I didn’t have the need to call Bluecrest, asking them more questions. On the day of the appointment I arrived 25 minutes early (taxied by my fiance!). The location wasn’t where you would normally expect to have a medical appointment at. It wasn’t a clinic or anything like that. It was a hotel actually. That didn’t really bother me. As long as I get my health check done and the staff is professional, does the venue really matter? At least it’s a little bit more relaxing as opposed to hospitals. So my appointment started in one of the hotel rooms which looked like a large meeting room (but not very nice, the carpet was rather ugly!). A friendly nurse invited me in and my health assessment began. I sat down and the nurse welcomed me and told me a little bit about the health assessment and what to expect. She asked me a few questions about my lifestyle and about any medical conditions that I may have. We then moved onto measuring my height and weight. I then had a lung function test done – I had to blow into a tube to test my lung capacity. I don’t remember the exact order of the health tests/checks but at some point, I had ECG or electrocardiogram. This is when electrodes were placed on my body to record my heart rhythm. Although this may not be really needed for me, it’s a way of identifying any abnormalities in your heart rhythm which could be due to heart disease. My ECG results were normal. After ECG I had my blood pressure measured and then the nurse took my blood. After that, the fitness assessment followed. Before the fitness test began, the nurse asked me some questions about my health, just to make sure there won’t be any issues when doing the test. So I was asked about any injuries and other things that could interfere with my fitness test. My resting heart rate was measured with a pulse oximeter together with my blood oxygen saturation levels. Then my fitness test began. For that, a rather high stepper was used and I had to follow a specific rhythm when stepping, in order to get my heart rate up. I was doing stepping up and down for 3 minutes I think and it was actually a really good workout. At the end, I started to sweat and my heart was definitely pumping. My heart rate and oxygen levels were measured again straight after the exercise and then after 1 minute of resting. A lower resting heart rate is better as it indicates a high level of fitness. At the end of my health check, I had to fill in a questionnaire (on a computer) which would assess my state of mind and wellbeing, just to see whether I have any signs of anxiety and depression but also to see how I cope at work. This was actually quite an important assessment because mental health is not something people talk about much but it really affects your life. If you suffer from stress this can result in various health problems but it also results in unhealthy behaviours such as overeating, smoking or drinking too much. So it’s really important to recognise you are stressed and try and work out better ways of dealing with pressure. 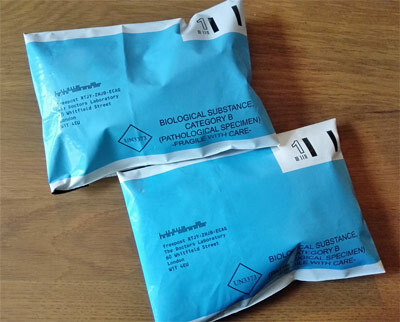 For further analysis of my current health, Bluecrest needed my urine and faecal samples. I was relieved to find out that I don’t have to do it there and then. Instead, the nurse gave me the collection containers with all the instructions. I was going to do it at home and the free pre-paid plastic envelopes were provided so that I could send the samples back when done. I had no problem with the urine sample but the faecal sample, omg it must be the worst thing that I ever had to do out of all the home tests! It’s so gross that I don’t even wanna talk about it. I just want to say that all the instructions are provided and as long as you follow them you will be fine. At the end of my appointment, I was told that my report would arrive within 21 days (after I send off my urine and faecal samples). I was really happy to have received it earlier. I think it arrived after 2 weeks or even earlier. You basically get the whole booklet with an overview of your test results together with a more in-depth explanation of the tests and what either high or low readings may indicate. Where appropriate there is also some information in the report about the next steps you should take. This health report makes it really quick and easy to see whether there are any areas of concern. You just have to look for the red flag which really stands out. I only had one red flag within the report and that was a positive result for Helicobacter Pylori bacteria that live in the stomach. When I saw that red flag, it was like a victory for me. I finally discovered the cause of my stomach issues, or at least I learnt that this bacteria was partially responsible for my digestive problems (together with food intolerances). It’s quite common to have this bacteria in the stomach with about 40% of people in the UK who have it. Now, is it harmful and what to do if you have it? Those who have this bacteria are more likely to develop stomach ulcers and stomach cancer so it’s recommended to treat it with a particular combination of antibiotics to get rid of it. I haven’t decided on this option yet as I will research alternatives first. There wasn’t really anything else to worry about within the report. My blood pressure was great, my cholesterol was perfect, my kidneys work well, my lungs are great and there is no problem with calcium in my blood. I also don’t have any gout issues or any diabetes concerns (my glucose levels are normal) and my BMI is fine. I was really pleased to see that my haematology profile was great as well. I couldn’t be any healthier and I am definitely not anaemic (I rarely eat meat which results in anaemia in some people). The results of my fitness assessment put me into an ‘Athlete’ category which just meant that my fitness levels are great (although I am not an athlete). My screening package also included Early cancer risk assessment so the levels of special markers in my blood were also looked at. A special chemical CA125 which circulates in the blood of women with ovarian cancer was given a green flag. There are also markers for pancreatic and bowel cancer and I luckily had green flags for those as well. I really liked that the report also gives you additional information and health advice. So in the booklet, I also found a breast cancer awareness section where it was explained when to see your GP and how to check your breasts. There was also additional cancer information and some useful advice on musculoskeletal health (healthy back tips). My package included a 15-minute diagnostic telephone consultation with a chartered physiotherapist but I didn’t make use of it because I don’t have any problems in this area (well, not anymore). At the end of the report, there was also a piece of advice on how to cope with stress and general healthy living advice. I was really impressed by the amount of the information this report contained and everything was presented and explained so well. The report also made it easy if you wanted to take the results to your GP – no need to give him the whole booklet, just the last few pages of the report which summarise all your results. My package was really comprehensive and also included a 15-minute GP consultation. Sean from Bluecrest customer services team emailed me asking for the best time to have this arranged and once I replied I had it booked in straight away. The call was arranged for the same day (no waiting!). The doctor called me at 3 pm and I had enough time to ask her all the questions about my report. We talked about Helicobacter Pylori bacteria and she recommended I go and see my GP about it and have it treated. I also asked her about my low heart rate. I don’t know why but always when I get my heart rate measured it’s below 60. It was 54 during the appointment with Bluecrest. The doctor told me that I shouldn’t worry about my heart rate, it’s only if it drops below 40 when I should worry. I was happy with how consultation with the Bluecrest doctor went. I got all the answers I needed in less than 10 minutes. The package I reviewed in this post was Executive & Early Cancer Risk Review which is one of the most comprehensive packages Bluecrest offer. I was recommended this package on the phone while talking to one of the Bluecrest health advisors. Just to mention that taking a package is a more cost-effective option than if you decide to go for individual tests. Packages do save you quite a bit of money. What package you should go for really depends on your personal circumstances and your lifestyle (Bluecrest will be able to advise you on this if needed). If you want your health check to focus on cardiovascular health (if heart disease is in your family), then the Heart and Stroke Active Package may be for you. If a cancer risk is more of a concern to you then you should definitely check Cancer Risk packages. You can also choose other packages which are focused on common health concerns and lifestyle risks and are suitable for both men and woman aged between 18 and 65. The cost of your health check really depends on what package or screening you decide to go for. The Bluecrest health advisors can even create a custom package for you which cost is not available online so the best is to speak to them on the phone. They will be able to help you make the right choice depending on your age, gender, medical history and family history. Individual checks start from £49 but as mentioned above, it’s more cost-effective to book your screening as part of a package. The basic package starts from £99 and can go up to £200+ to include more tests focusing on a particular area of concern. In terms of pricing, Bluecrest consider themselves cheaper than Bupa. What do Bluecrest health packages include? 100% Bluecrest Guarantee – If any aspect of your screening is not entirely to your satisfaction Bluecrest will do their best to change that. If you are still not happy, they offer a full refund at the clinic. I have found the Bluecrest staff really professional, friendly and helpful. Their nurse was really knowledgeable and knew answers to all my questions. When dealing with their health advisors on the phone I couldn’t imagine having a better customer service. The final report I received was really useful to me and everything in the report was explained in an easy-to-understand language. I really like that Bluecrest have so many locations nationwide and your nearest venue should not be too far from you. They are actually the biggest health screening network in the UK. If you want to give Bluecrest a try, I was given a special discount offer for my family and friends. 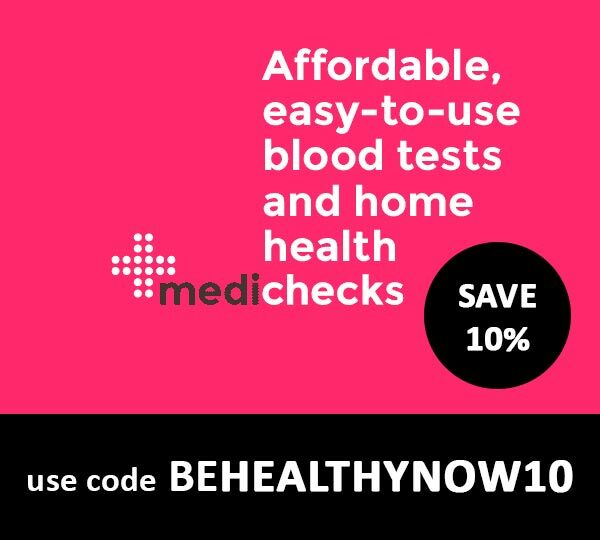 You can get £10 off your screening package, just use the code FR004. Just an idea, you could simply go for ‘Health MOT’ which covers 50 readings in total and it includes stroke heart, liver, diabetes risk, kidneys, bone health, iron, gout and full body composition. Have you ever had a private health check or would you consider one? Have you heard of Bluecrest before? It sounds very thorough and I’m glad it gave you some answers. I think that being able to go at a time convenient to you makes a massive difference! Yes, it’s so good that I was able to have this screening on Saturday when I was off work. How interesting! I’ve actually been looking at getting some sort of overall health check myself as I feel like as I’m coming up to 30 now I probably should. I’ve found they were all way too expensive so decided not to, but I’d not heard of this company before! Bupa’s health checks are quite expensive but Bluecrest screenings are much cheaper so it’s worth going with them. Very important to do a health screening every year. to keep al levels OK. Thanks for sharing, all the best !! Health screenings are definitely important, especially after you reach certain age.